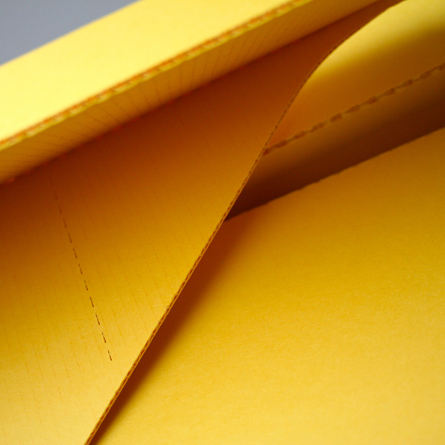 French Paper manufactured a custom e-flute board out of their popular Pop Tone Lemon Drop paper. 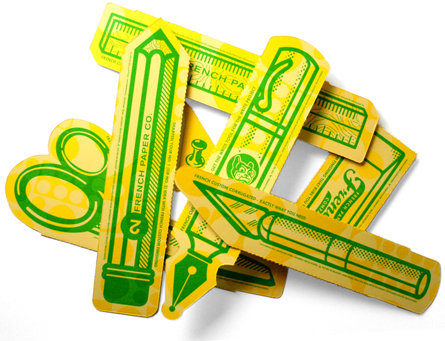 It's the perfect surface to make a pop art statement about point-of-purchase displays and other tools of the trade. 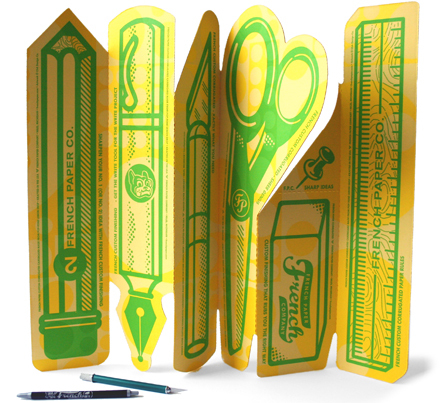 Printed with flexography and die-cut, these oversized design tools are intended to stand at your desk as a mini-screen, or pulled apart as individual decorations for the studio.